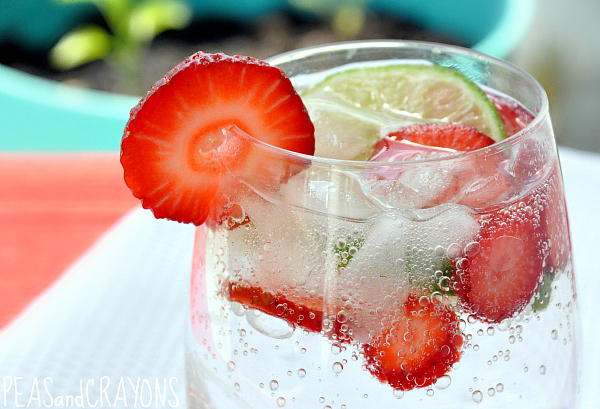 This Skinny Strawberry Lime Spritzer is light and fruity, perfect for a hot sunny day! Thanks to grocery stores that sell fresh local produce instead of imported, I was able to score a carton of the best strawberries of my life. Ripe strawberries taste like candy and could stop even the most stubborn sweet tooth dead in its tracks. Naturally I had to corrupt them with vodka. I mean, I did go to FSU after all. Feel free to sub your favorite wine or sparkling bevvy of choice for a delicious drink that’s perfect for a hot sunny day! I’m OBSESSED with this light and fruity cocktail and can’t wait for y’all to try this sassy strawberry spritzer! This lightened up cocktail is fresh and fruity, perfect for a hot sunny day! as many slices of fresh strawberry and lime as you can fit in the glass! Though maybe the sloshing comes last… Haha! Enjoy the summery bevvy and happy almost-Friday lovelies! 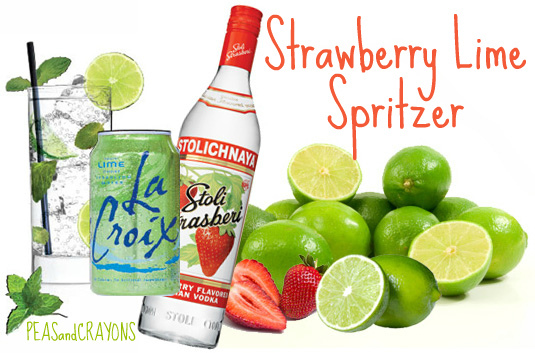 If you get a chance to try this Skinny Strawberry Lime Spritzer, let me know! You can leave me a comment here (LOVE checking those daily!) or tag @PEASandCRAYONS on Instagram so I can happy dance over your creations. I can’t wait to see what you whip up! I will definately be making this drink when we have our BBQ this weekend! Thanks! Mmm this looks so nice and refreshing, especially on this warm day we’re having here. LOL @ the FSU comment. So true. Totally how we roll. 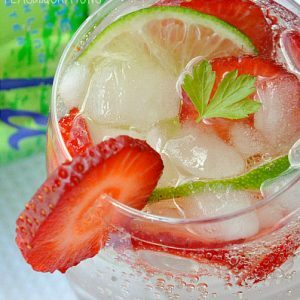 This looks sooo yummy and refreshing! I’m loving all the strawberries right now. Mmm, so BUBBLY!! Can you believe I’ve never tried La Croix? That looks so delicious and refreshing…yum! Can’t wait to try one! Hi! 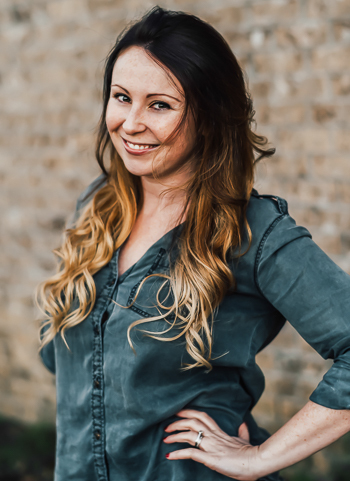 Ran across your blog through The Guiltless Gourmet. This cocktail looks awesome! I graduated from UNCW, and I loove going back there and indulging in my favorite restaurants! I’m the same way! Though sub a screwdriver for the peach bellini and we’re good to go =) This drink is more tart and fizzy with the only sweetness coming from the berries you toss in the glass so hopefully you’d love it too! xoxo Happy Friday Helen! 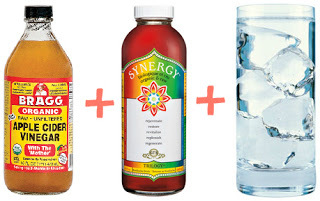 I can’t really say that I have a favorite spring beverage…..I usually stick with wine or beer. I do love a good peach bellini every so often 🙂 I am not a real “sweet drink” type of person, I think this one would be perfect!! This looks amazing! This may be my favorite Spring drink. Yum! 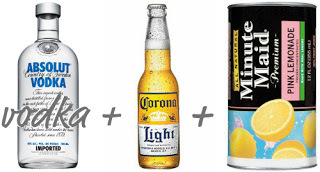 Summer’s on its way and this would be perfect by the pool! I missed this yesterday!! But maybe for the better since now I can enjoy it this weekend. Strawberries are my favorite. Duh. Oh, this sounds so refreshing!! Perfect for these warmer days! this sounds so awesome!!!!! i must have one!!!! Delicious idea! I just bought some lemon-lime soda sweetened with stevia that I have been wanting to try out! I bought it with wine spritzers in mind but I love the strawberry vodka with strawberries idea. Thanks Jenn! That looks so good. I have to try it!!! Thanks Kelly!!!!! Hope you have a fab weekend ahead of ya! OMG!…..this is way to refreshing!……getting the ingredients now! this looks completely delicious and so frefreshing. love the strawberry-lime combo for spring and summer! Oh my goodness theae are beautiful! Thank God for those wonderful strawberries! YES. This is a must. This is probably going to be my new favorite spring beverage! oh man… i soooooo want this now… looks so refreshing!! 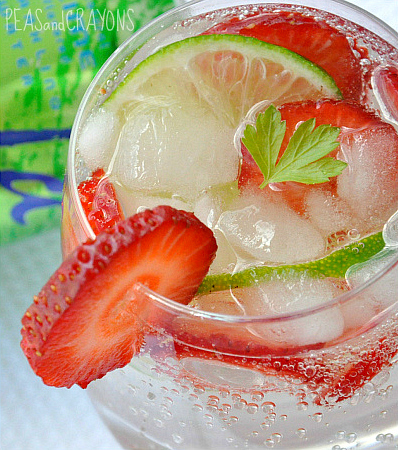 I love strawberries and lime. There’s a pick your own strawberry farm here in town. A friend and I found it when we were lost, we rolled down the window to ask for directions, and the most yummlicious smell hit us like a happy, happy brick wall. Ooh that looks nice and refreshing! Yum!